How do we explain the enigma that is the unique flavour and character of each individual distillery? Is it the water? The stills? What about the bacteria naturally present during fermentation? Dave Broom investigates. 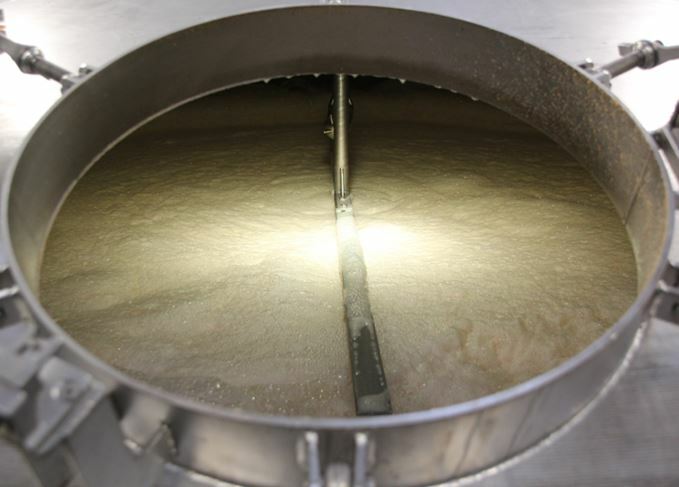 Heart of the matter: Could fermentation hold the key to individual distillery character? I blame John Wilson and Virginia O’Gara for turning my house into a science project. Now every shelf has water kefir and kombucha all contentedly bubbling away. I’m not even going to get started on the kimchi. It was all prompted by an early-morning session at Ballymaloe Lit Fest on ‘Fermented Drinks’ which, amazingly (given the behaviour the night before), was packed out. Either people misread and felt a little hair of the dog might help at 9.30 on a Sunday morning, or their interest had been pricked by the supposed health-giving properties of these remarkable (and only mildly alcoholic) beverages. I got home, bought some SCOBYs and set to work. SCOBYs, I should point out, are nothing to do with giant mystery-solving hounds, but Symbiotic Colonies Of Bacteria and Yeast. It is they which make the magic – and I must admit that I do come over all Victor Frankenstein when I see life (i.e. bubbles) appearing. The mystery of wild ferment has long intrigued me and I’ve wondered whether there is a link somewhere along the line with flavour production in Scotch. The year previously I’d buttonholed Sandor Katz, the godfather of the movement. What’s always intrigued me about Scotch is how each distillery’s character is unique to that specific site. Why is that? Is it water? Stills? Pixies? Is it ‘terroir’? – a term which can be used to fob off any persistent questioning – or is it ultimately unknowable? It does seem linked to location, which is where the wild yeast theory came from. If yeasts are site-specific and distillery flavours are the same, then surely there is some correlation between the two? So I asked some friendly whisky boffins. ‘Just a little bit?’ I pleaded. I’m no scientist and this, for me, was a breakthrough. ‘Sorry… but there will be something different in each distillery’s fermentation…’ and, enigmatically, they left it at that. Now, when most whisky lovers visit a distillery, they treat the tun room as being the support band which you half-listen to in preparation for the main double bill of stills and wood. Hidden secrets: Could Oban’s unique lactobacilli help create distillery character? Remember, though, that distillation is only about concentrating and selecting flavour – and those flavours are created in fermentation. If this question of why distillery X is the only place which can make character Y is to be answered, then it has to be in the ferment… doesn’t it? The story with fermentation times goes like this. The longer it goes on, the more acidic the wash becomes and the more esters are produced. In other words, it gets fruity. This is down to the lactobacilli (LABs) which lurk in the pipes and washbacks (particularly wooden ones) of every distillery. These begin to act on the wash after the yeast has died, after around 48 hours. Some LABs feed on the dead yeast cells, others attack sugars which the yeast cannot convert, others only come to life after 70 hours when the acidity is higher. In other words, LABs help to generate flavour. There are LABs in my kefir babies. What, then, if it wasn’t wild yeast, but LABs which make the difference? I discovered a paper written in 2001 by Kirsten Simpson, Bertil Pettersson and Fergus Priest. They had gone to 23 Scotch whisky distilleries and analysed which LABs were present in each. The results were, to those of us intrigued by such things, remarkable. Their research showed not only that each distillery has a stable population of LABs, but that each distillery’s colony will be different to its neighbours. There are some LABs (or, to be precise, ribotypes) which are found across Scotland, others which are clustered in regions (or sub-regions), while some distilleries – Oban and Glen Garioch were flagged –had strains not seen anywhere else. Laphroaig had some which Ardbeg and Lagavulin didn’t – and vice versa. Bunnahabhain’s were different again. They also, by the way, identified a new strain: Lactobacillus ferintoshensis sp. nov.
Is this the answer to the differences in distillery character? Perhaps. Another brick taken out of the wall of mystery surrounding Scotch? I don’t think so. For me, this deepens the mystery. It reinforces the importance of site, of established practice and of location. It shows that terroir exists – and in a highly specific manner. If anything, this makes Scotch even more enigmatic.